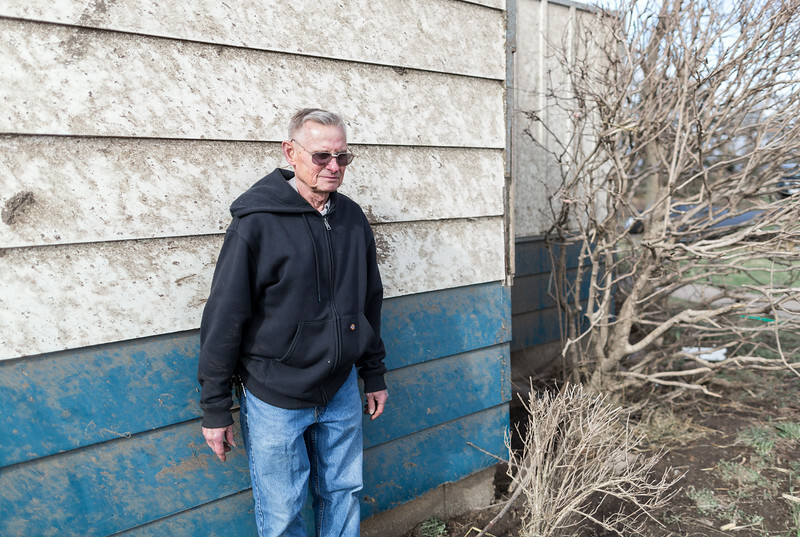 One of the houses on Earl's property that was destroyed during the April 9th tornado. 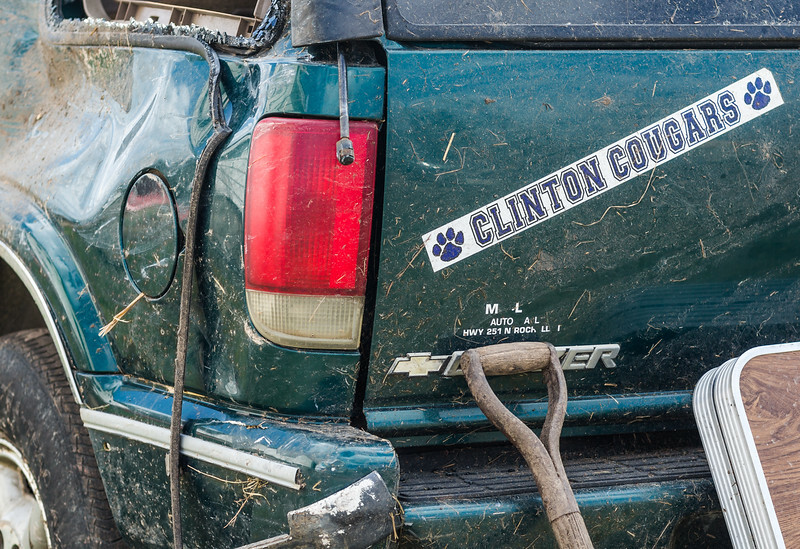 A Clinton Cougars sticker is visible on a vehicle at Earl's property. 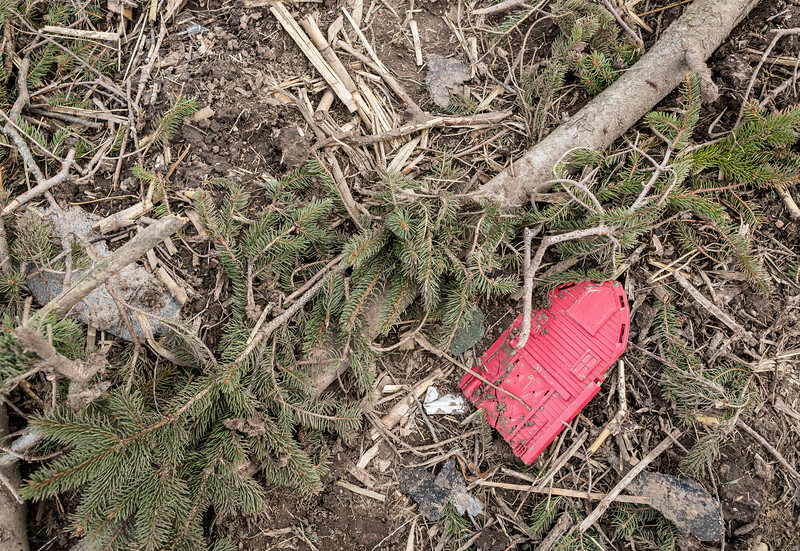 A piece of a red toy barn is seen mangled amongst a tree limb and surrounded by mud. 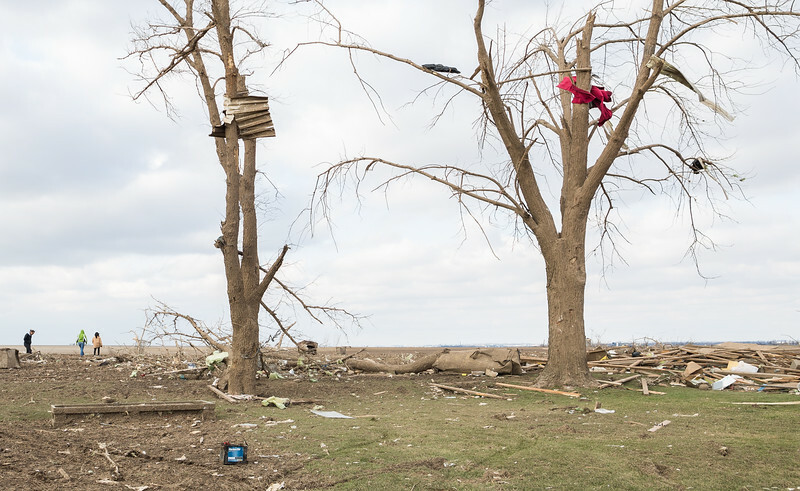 A group of three people are seen cleaning up debris in the background of this destroyed wasteland. 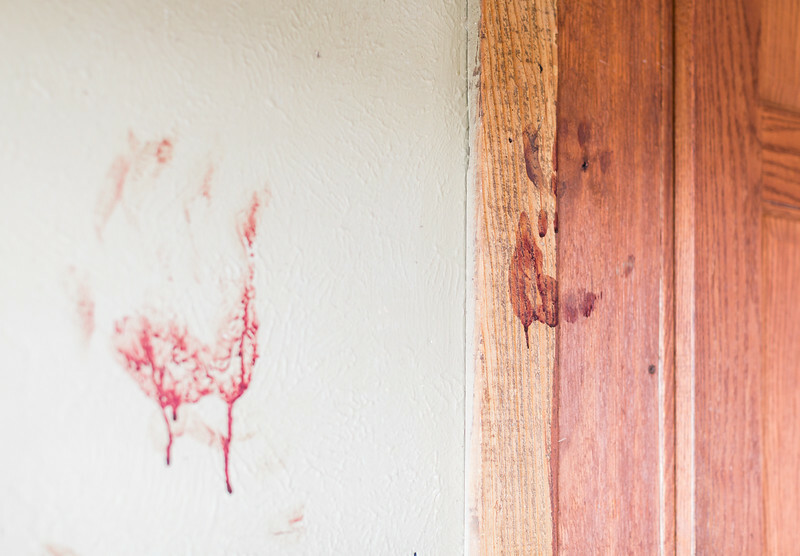 Bloody hands are seen on a wall and a door at the now demolished "Grubsteakers Restaurant". 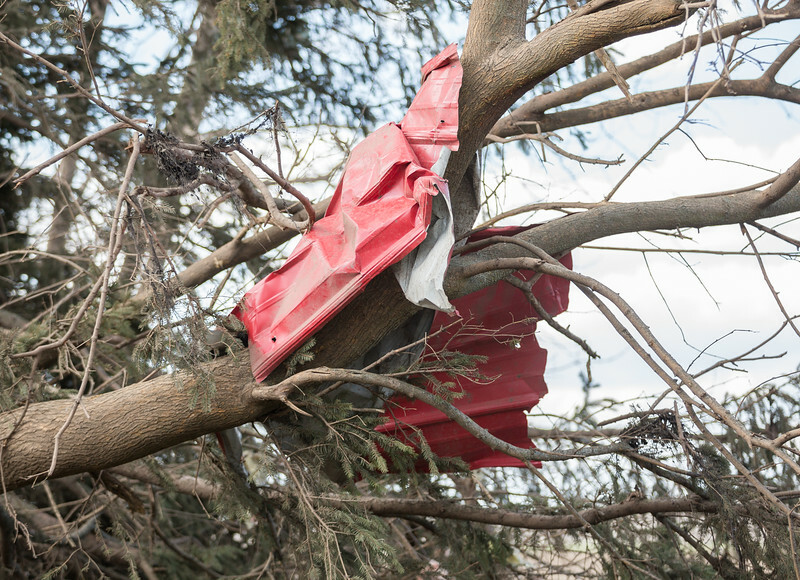 A piece of metal is wrapped around a tree limb, caused the wind from the tornado. 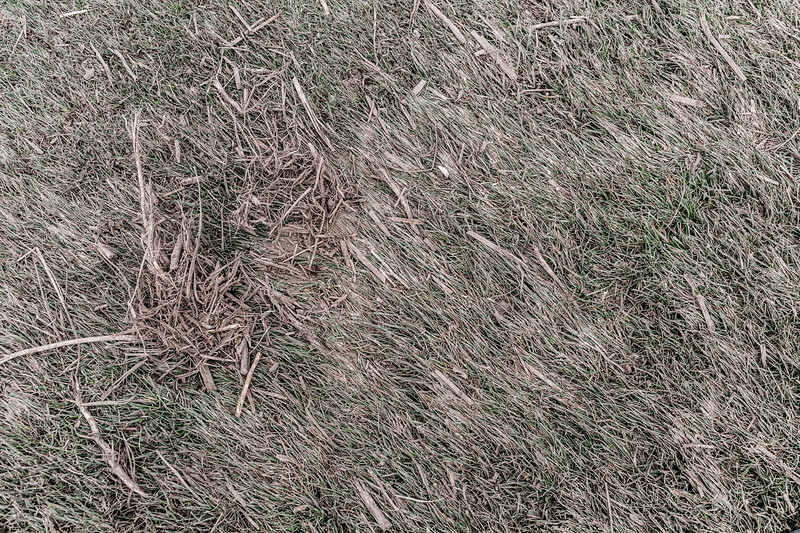 The grass is visibly blown to the side and stuck by the mud from the winds of the tornado.